In this age of globalization, genetic revolution, informatization and climate change, we really need to rethink and reshape our paradigm and strategies in managing research. Ten years ago, I joined ICRISAT at a time when the Institute was facing daunting challenges. 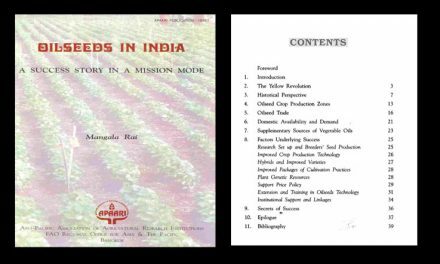 ICRISAT was then reeling from the past, marked by low staff morale, financial challenges, and unusual turnover in its governance and senior management. 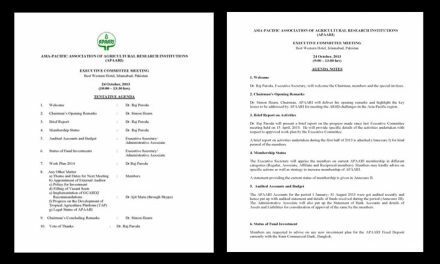 Today, ICRISAT is a fully transformed and high performing institution, a leading Center of the Consultative Group on International Agricultural Research (CGIAR). Servant leadership was the main ingredient of this transformation. Robert Greenleaf was indeed right when he first said in 1970 that, “servant leadership begins with the natural feeling that one wants to serve, first. Then conscious choice brings one to aspire to lead.” At heart, the servant leader is a servant first, making a conscious decision to lead in order to serve others better, not to have dominion over them. This is the same feeling I had when I joined ICRISAT. Coming from a farming family, I firmly believed that my mission was to serve others first in order to lead. Servant leadership was my call to transform the Institute in surmounting its tremendous challenges to serve the poorest of the poor. 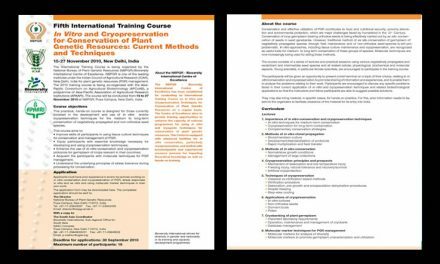 Together with this, ICRISAT needed a vehicle for institutional transformation. “Science with a human face” then came about. 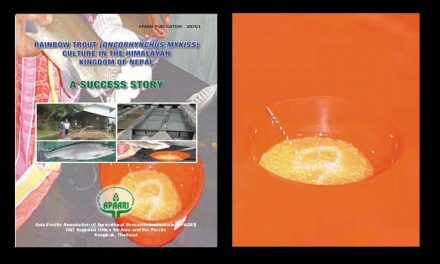 Science is a means that ICRISAT mobilizes in order to serve the poor, and not an end in itself. Servant leadership is the main engine for ICRISAT’s transformation, propelled by science with a human face. 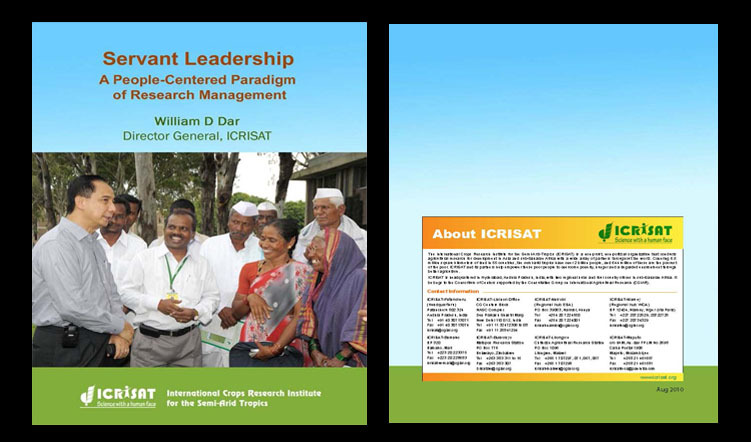 Related to servant leadership, let me now share the main drivers of ICRISAT’s transformation.